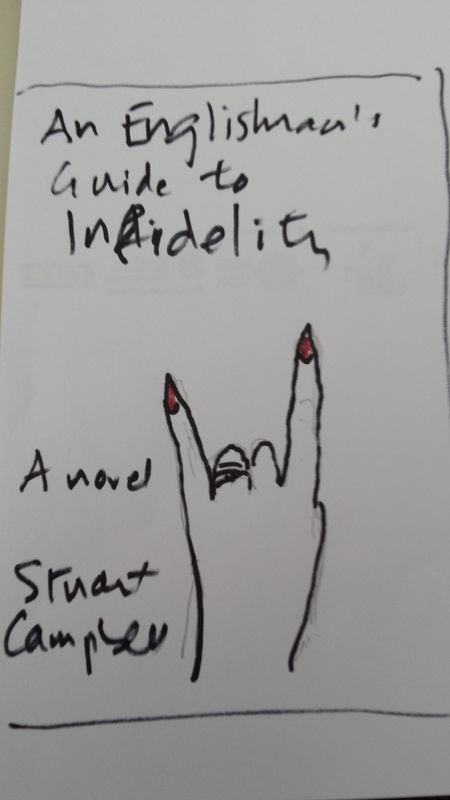 I’ve relaunched An Englishman’s Guide to Infidelity on Kindle with a new cover. The evolution of the cover is a story in itself. 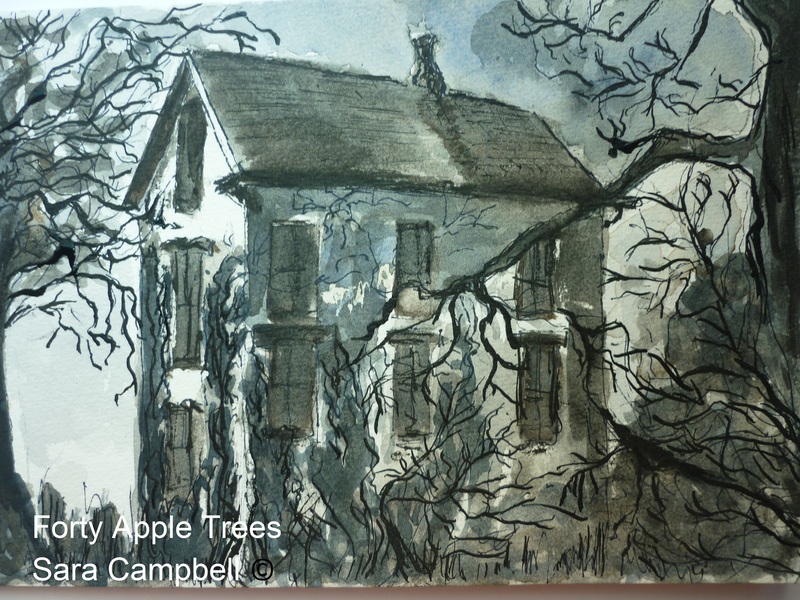 My working title for the book was Forty Apple Trees, the name of the house in the West of England where most of the third part takes place. The name hung around for so long that it stuck, and I asked my wife to paint the imagined cottage to incorporate into the cover. The version on the left was my favourite. But some of my beta readers and writing friends thought the title was meaningless. I had to agree, and I spent a month throwing ideas around until I settled on Magenta Falling. They threw this one out too. An Englishman’s Guide to Infidelity hit me like a brick when I was out walking one day. 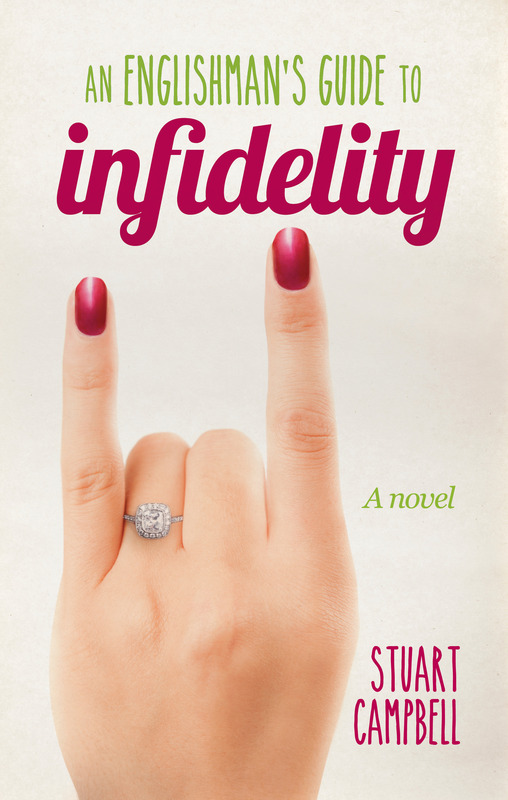 It references a book written by one of my characters, An Englishman’s Guide to Fidelity. He’s a complete swine, by the way. But I’d miscalculated. First, the cuckold hand gesture seemed unknown to most people. I was asked a few times if the book was about heavy metal . Secondly, the subtitle a novel was a wasted opportunity to add a hook; it obviously wasn’t a cookbook! And despite it being a lovely cover, it lacked impact compared to others in the marketplace. A year or so later I went back to my designer and asked for the blockbuster treatment. She gave me two bits of advice: (1) Don’t try to tell the story on the cover, (2) Leave everything to me this time. So here it is, and I think it’s brilliant. I love the way the title punches out of the centre, and I love the sense of anticipation as the figure walks into a landscape that is both bright and forbidding. And best of all, the cottage is back! My covers are designed by Rachel Ainge at Tribe Creative Co. I agree, stick to the knitting. You’re a good writer, Tribe Creative are excellent designers. A much more intriguing cover. I like it very much, as I like the book itself. Agreed. I didn’t like the original cover and said so in my blog review. Loved the story and the writing though. Yes — so much better! Nice to see how you are continuing to develop your books, covers, etc.